Claire Warren, untitled, from the series ‘Clementine,’ 2018, inkjet print on rag. PHOTOACCESS is presenting the work of three emerging artists-in-residence – “Clementine“ by Anita Antriken, “Fragile”, which is collodion ambrotypes, or glass photographs, by Prue Hazel Grove and “In Conversation”, which is black and white portraits by Anita Antriken. 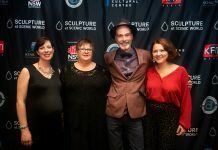 Claire and Prue were both awarded an ANU emerging artist support scheme and PhotoAccess residency, while Anita was awarded as a Canberra Institute of Technology photography graduate emerging artist and a PhotoAccess residency. At Huw Davies Gallery, Manuka Arts Centre, 10am-4pm, Tuesday to Saturday, until Sunday, December 9. AN open artist studio, Christmas exhibition and sale of watercolours by Isla Patterson will be held at 10 Mainoru Place, Hawker, 10am-4pm, Friday, December 7, Saturday, December 8, and, Sunday, December 9. 10 per cent of sales to go to the Cancer Society. 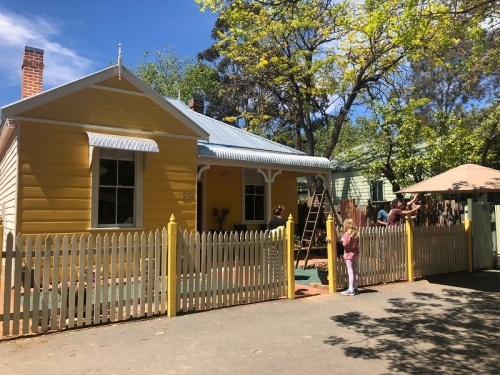 THE owners of the very new gallery, The Queanbeyan Hive, in the restored yellow cottage at 274 Crawford Street, Queanbeyan, have decided to extend their first exhibition until December 8, 10am-2pm, Tuesday to Friday and 10am-4pm, Saturday. 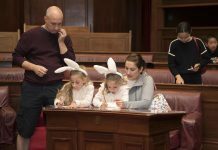 They would welcome expressions of interest from artists keen to exhibit in 2019. NEIL Dennis Morris has had a love affair with art-making for the past 35 years and this exhibition, reveals work in a huge variety of mediums and creative approaches such as painting, sculpture and drawing. This is Neil’s first exhibition and was made possible by funding through the National Disability Insurance Scheme. At The Q Exhibition Space until December 8, 10am–4pm, weekdays, and 10am-2pm, Saturdays. 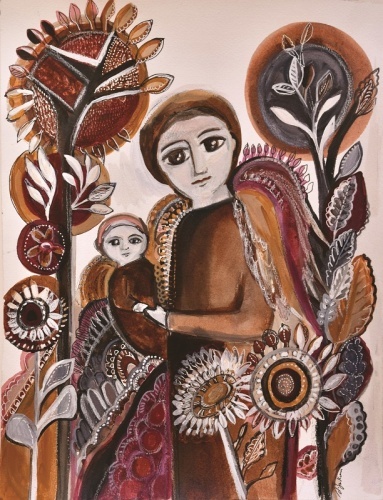 THE December/January exhibition at Gallery Bodalla features two diverse artists – Slavica Zivkovic and Bela Ivanyi. 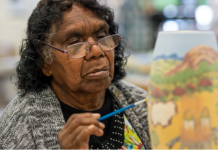 Zivkovic draws on her rich inner world and imagery from her travels to create iconic works of warmth and beauty, while Ivanyi produces expressive and lively paintings that capture the vibrant colours of the Australian landscape. 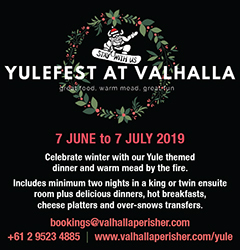 66A Princes Highway, Bodalla, December 6 to January 6. Opening drinks Saturday, December 8, at 3pm, with music by guitarist Geoffrey Potter. BILK’s fabled “White Christmas” exhibit features work by Marian Hosking, Kath Inglis, Julie Blyfield, Scott Chaseling, Johannes Kuhnen, Melissa Cameron, Helen Aitken-Kuhnen, Janice Vitovsky, Mio Kuhnen, Maureen Faye-Chauhan, Inari Kiuru, Jo Hawley, Larah Nott, Spike Deane, Sui Jackson, Zoe Brand, Nellie Peoples, Jill Hermans, Wen-Miao Yeh, Ximena Briceño, Phillipa Gee, Cassandra Prinzi as well as selected pieces from this year’s exhibition schedule. At Bilk Gallery, 12 Palmerston Lane, Manuka, 11am-5pm, Wednesday to Friday, 11am-4pm, Saturday, until December 24. “PRESS vs Screen” features works by Megalo Print Studio members from the ACT region and across Australia. The exhibition is divided into Screen studio works and Press studio works. At 21 Wentworth Avenue, Kingston, until December 14. The studio will be closed from December 15 to January 15. “AT the Edge of Matter”, curated by Karena Keys and Phoebe Hamra, explores the tension between an artist’s process and the dynamic, physical possibilities of the matter they manipulate. The artists are Christine Appleby, Riley Beaumont, Mahala Hill, Merryn Lloyd and Lucy Quinn. Opening 6pm Wednesday, December 5, all welcome, then continues at 1 Rosevear Place, Dickson, until December 16 after which ANCA Gallery, will be closed from December 17 to February 6. 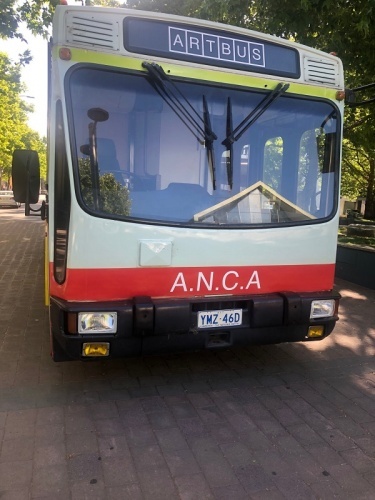 MEANTIME until December 20, ANCA’s refurbished Action Bus, the “ANCA Art Bus”, is parked in City Walk from Saturday, December 1 to Thursday, December 20, with the exhibition, “Heartbeats”, by local artist Dionisia Salas. It’s an analysis of traditional European wall paper through a contemporary lens, utilizing collage, print media and paint. Salas will facilitate a series of free drop-in art workshops for the public on Saturdays, 2pm-3pm, and Sundays 2pm-4pm throughout the exhibition. 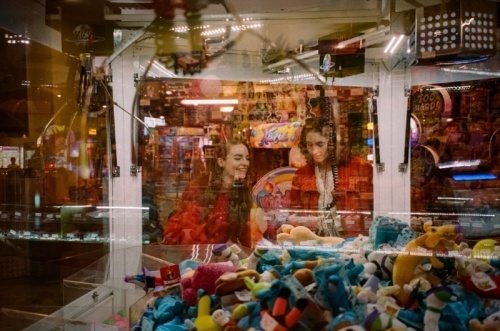 “SECOND Sight” is a solo exhibition by Melbourne photographer, Sarah Walker. The exhibition presents a selection of works from her book of the same name, “Second Sight”, winner of the inaugural 2018 Perimeter Small Book Prize. By using the trickery of photography, Walker reframes and appropriates fragments of the everyday and imbues them with the loaded atmosphere of the ephemeral and the arcane. The show runs at Nishi Gallery, 17 Kendall Lane, NewActon, 11am-3pm, Wednesday to Sunday until January 26. JULIA Landford, the founding director of NatureArt Lab, which aims to promote environmental engagement through art, has alerted “CityNews” to the school’s first annual student exhibition, now running in Workspace A, M16 Artspace, 21 Blaxland Crescent, Griffith, noon to 4pm, until this Sunday, December 9. All welcome.